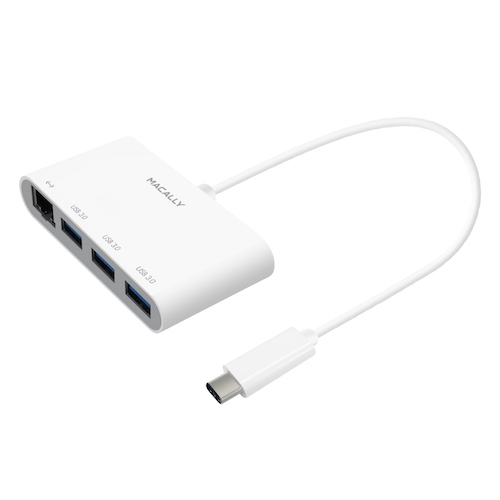 The Macally UCHUB3GB is a 2-in-1 device that adds 3 USB A ports and one Gigabit Ethernet port to your MacBook, MacBook Pro or Chromebook Pixel. The Macally UCHUB3GB is an USB-C to 3 port USB-A hub that allows you to continue to use your existing USB devices, like your keyboard, mouse, HDD, flash drive, printer, scanner, iPhone, with your new MacBook, MacBook Pro or Chromebook Pixel with USB-C/Thunderbolt 3 port. 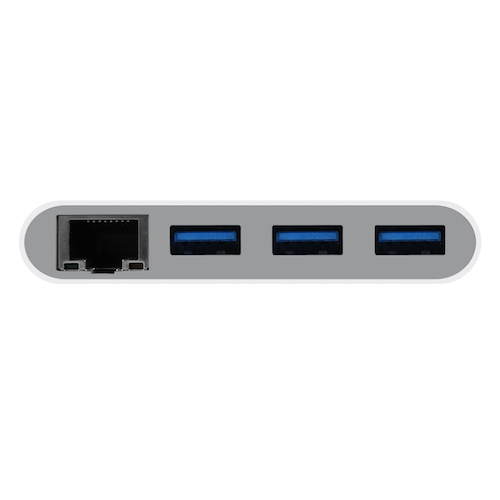 The UCHUB3GB also allows you to connect your computer to a wired Gigabit Ethernet network with stable and fast connection speeds at 10/100/1000Mbps. The Macally UCHUB3GB is compact in size and has a built-in cable for maximum portability.